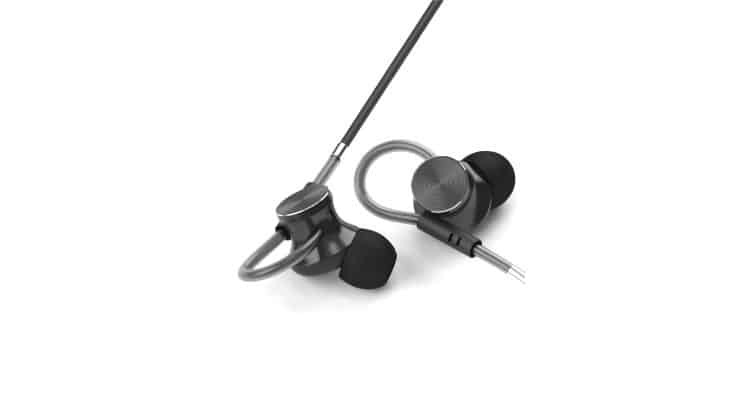 With high fidelity bass precision, ergonomically angled ear tips and a unique custom ear loop fastener; a new addition to Boult Audio’s catalogue, the Loupe, at a great price of Rs.672 available exclusively on Myntra. These earphones are designed to appeal to music lovers and audiophiles seeking top-quality reproduction of audio formats and their favourite music. The sleek and shiny metallic design adds to the X factor of the product with is the customizable ear loops, the performance of the metallic drivers system is further enhanced by Kevlar reinforced cables, stabilizer that ensures linear diaphragm movement. High-rigidity AL alloy housings help reduce unwanted resonances and aim the drivers at the listener’s ears for optimal performance, while ensuring a comfortable fit with a high degree of sound isolation. The silicone translucent adjustable ear fastener not only adds to the elegance and aesthetics, but also acts as an ear-fin by fitting into the outer earlobe cavity, and prevents the earphone from coming off, even when you are moving or working out. Boult audio remains dedicated to providing music enthusiasts with great-sounding, innovative audio products. High grade cable- High gauge cable ensures transmission is stark and there is no loss in audio quality. 3D sound- 3D acoustics with synchronised and advanced auditory experience. 3.5 mm connector- Gold-plated universal 3.5mm connector to connect to all devices. Built in MIC- Built in condenser microphone for HD calls and voice command. Boult Audio debuts New Premium Wired earphones Boult Loupe 0 out of 5 based on 0 ratings. 0 user reviews.